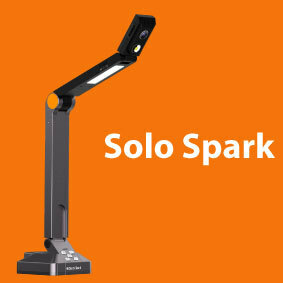 The HoverCam range of visualisers, the Solo 8 and Ultra 8, are state of the art document cameras that are also multifunctional visualisers, unlike Elmo, Avervision, Genee and Epson visualisers. 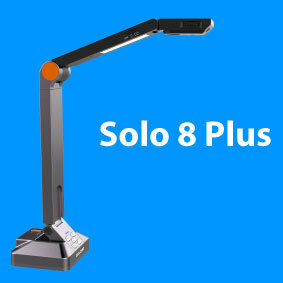 With Scanning, full HD video at 30 frames per second, and 8 megapixel sensors, both the Ultra 8 and Solo 8 document cameras surpass the likes of Lumens Document cameras due to exceptional software and award winning features. Solo 8 connects via USB while the Ultra 8 can also connect via HDMI and VGA. Wishtrac are the official UK and Ireland distributor of the HoverCam range of Visualisers. Incredible 13 megapixel image quality, with up to 480 times zoom. 4K output. All powered by a USB Cable. 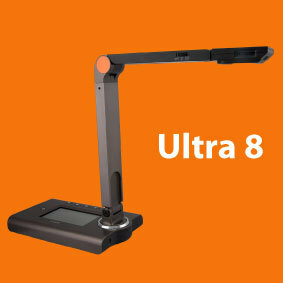 Ultra 8 gives you HDMI and VGA outputs, as well as a touch-screen display. 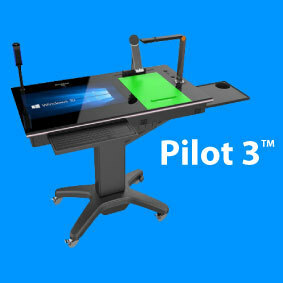 The Pilot Podium armed with a sleek multi-touch, powerful Intel Core i5 computer running Windows and a 4K document camera. 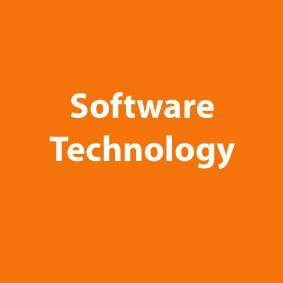 Click above for further information on Flex 11 software technology that is used with the HoverCam and how it compares with others on the market.